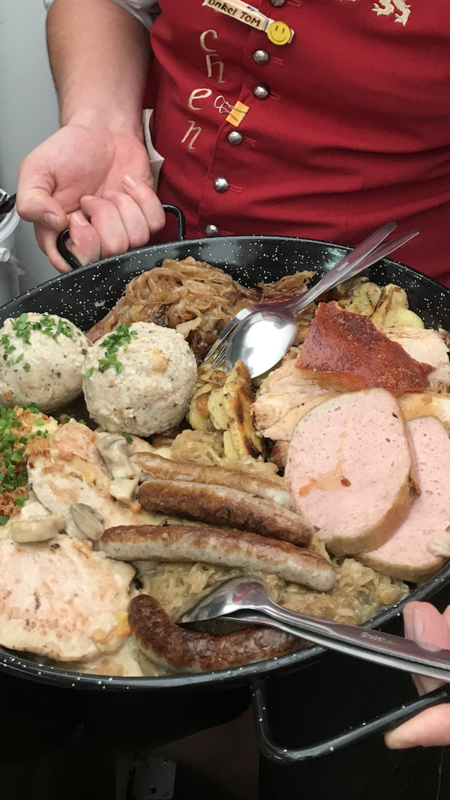 There are thousands of unique dining experiences available on OpenTable, but perhaps none more unique than Oktoberfest. Out of all the gatherings in the world, it stands out as number one on travelers’ bucket lists, for beer lovers in particular. Oktoberfest in Germany has played host to millions of visitors. 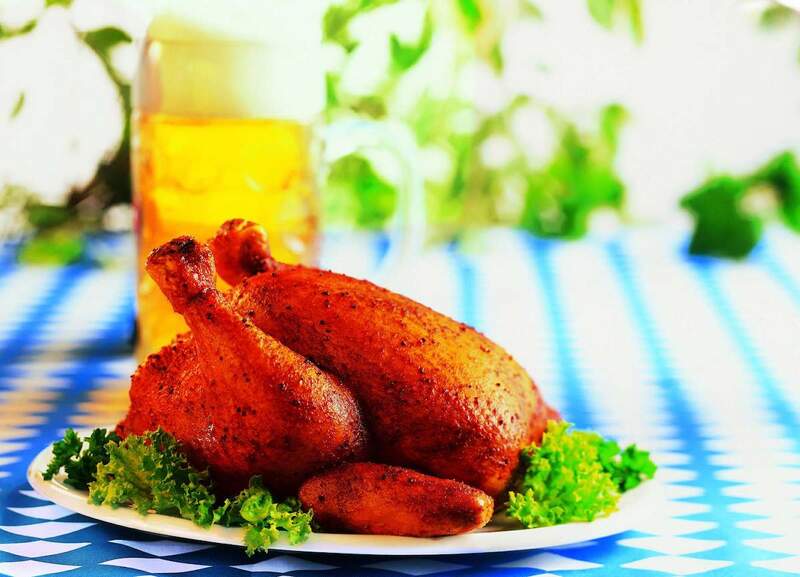 Nearly 10 million liters of beer consumed, and from grills, ovens, and roasters emerges world-class food in seemingly endless trays of meats, cheese, and radishes to eat with that beer along with pretzels finished with a bevy of Bavarian sweet treats. This traditional folk fest in Munich dates back to 1810 and runs for two weeks. Oktoberfest 2018 begins on Saturday, September 22 and ends on Sunday, October 7, during which time the region lights up with parades, more than 100 fairground attractions, live music everywhere, and streets filled with smiling people in costume. Once the mayor taps the keg and the parades of horse-drawn beer wagons commence, the fun really begins, but tables sell out very fast even though the festival is largely dedicated to community seating. In all its culinary glory, Oktoberfest can be notoriously crowded and snagging a seat at one of the thousands of long wooden tables and benches is a feat unto itself. This year, OpenTable diners can get the jump on Oktoberfest 2018 planning, For the first time ever, guests can book reservations through OpenTable at the following tents, making the rich culture of this food-centric country accessible and infinitely more convenient. Menus are subject to change throughout the weeks leading up to Oktoberfest, but here is a snapshot of these swoon-worthy options to try this year. 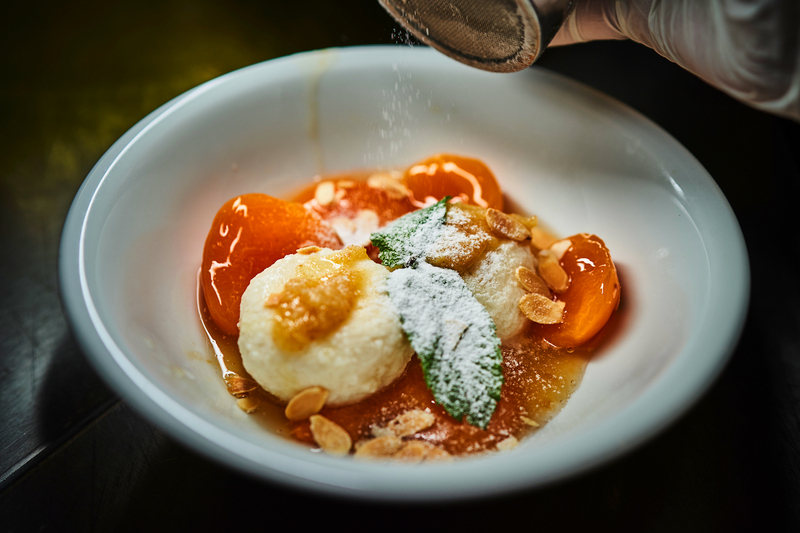 After decades at Oktoberfest, Bodos Cafézelt & Cocktailbar has perfected the art of sweets. 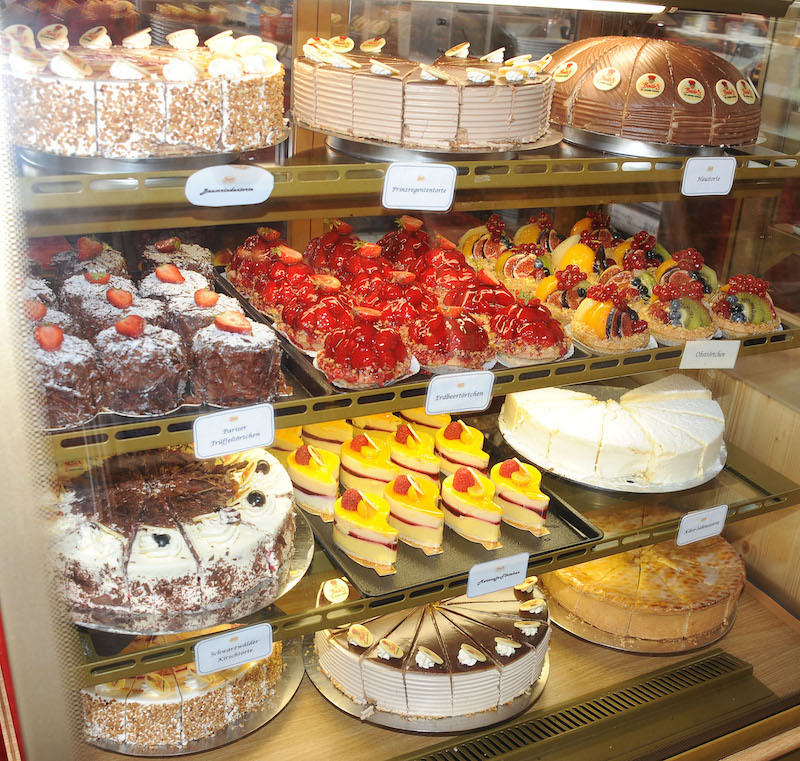 In what patrons call a rousing atmosphere (thanks, in no small part, to the owner and his air guitar), guests at Bodo’s have become hooked on its festive scene, welcoming atmosphere, and Bodo’s famous pastries. Here the noshes to try include cakes, strudels, and kirschwasser, a traditional German jam-filled pastry variety of Krapfen similar to a doughnut but without the center hole. No one other than Bodo E. Müller, who first trained as a confectioner back in the 60s, could create something this good. Make a reservation at Bodo’s Cafezelt. As another centennial Oktoberfest eatery, Heinzwurst HühnerBraterei is an intimate place to gather to enjoy a selection of schmankerl, fresh from the restaurant’s sausage and chicken roastery. The owners describe the vibe in this welcoming tent as “hearty and homely,” but the cuisine is unforgettable. The logo says it all: Cupid riding a suckling pig with the slogan, ‘There’s something fine about getting Heinz.’ Make a reservation at Heinz Wurst and HühnerBraterei. “The breadth of the dumpling kitchen makes the hearts of every Oktoberfest enthusiast beat faster.” This quote from host couple Florian and Bettina Oberndorfer speaks volumes about their representation of Bavarian food and, more specifically, the knödel, or dumpling, which has earned its way to the top of every Oktoberfest goer’s culinary wish list. The 800-seat Münchner Knödelei with half and half indoor and outdoor seating offers a variety of dumplings, all bio-certified as part of preserving the history of how Bavarians prepared knödel in the form of dumpling pretzel, a trio of vegetarian dumplings, Rostbratwürstel, roast pork, and plum dumplings, among others. Visitors to the Münchner Knödelei website can dive into learning more about this practice through a dumpling film that reveals a few of their secrets. Münchner Knödelei offers a family-friendly Royal Bavarian lunch menu, but don’t miss the Stenz von der Au appetizer tower. Make a reservation at Münchner Knödelei. 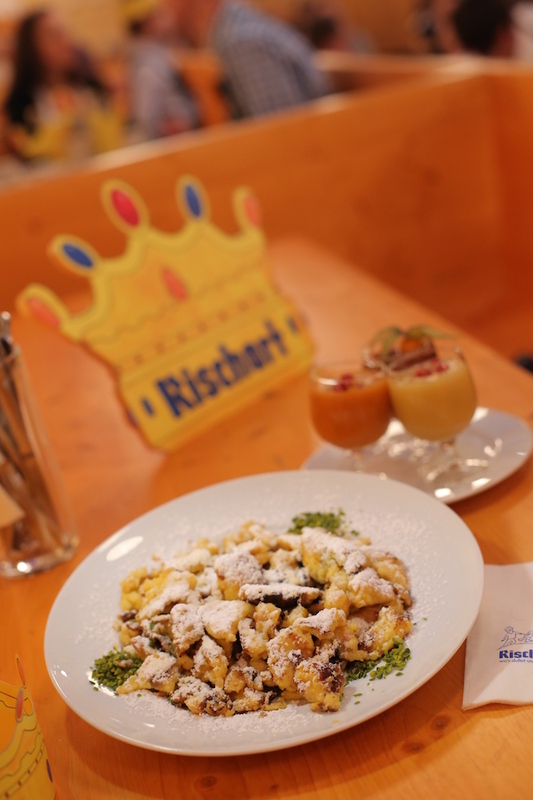 Café Kaiserschmarrn marries art and baking at Oktoberfest in the form of coffee and sweets, including oversized pies, strudels, and whipped pancakes with traditional applesauce. The owners believe that there is no difference between bread and art and it shows in a cake buffet spilling over in frosting and cream against the decorative backdrop of a salute to Ludwig II’s Bavarian castle. Be sure to save enough time to catch a glimpse of the Kaiserschmarrnbacken, or baking process. Make a reservation at Café Kaiserschmarrn. 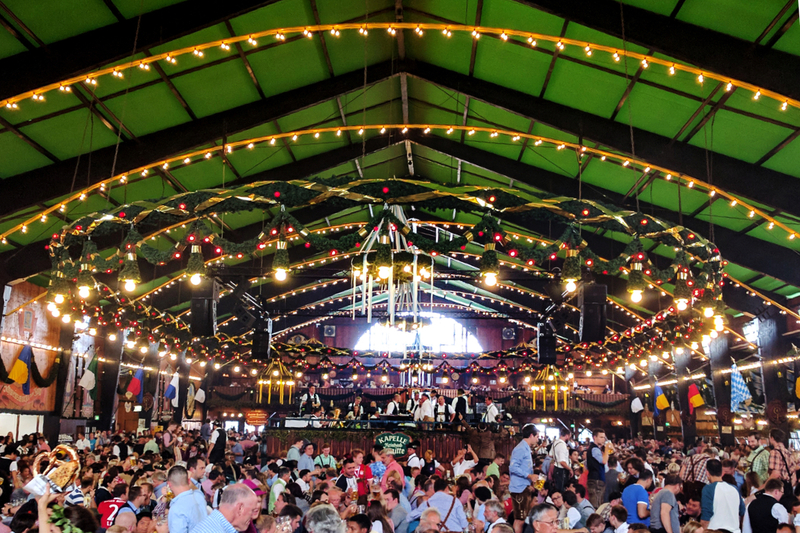 Meatloaf may be reported as dating back to fifth century medieval Europe, but a flavorful version of it happily haunts the Wirtshaus zum Schichtl tent at Oktoberfest. This variation of Bavarian meatloaf is served tavern-style alongside other traditional items, like grilled sausages, roast pork, bread dumplings, sauerkraut, and pork tenderloin, all of which are, of course, best paired with a mammoth glass of beer. Kids are welcome at Wirtshaus zum Schichtl and there is a special children’s menu available. Make a reservation at Wirtshaus im Schichtl.